Save AED 76 (42.46%) – Earn 10 Shukrans What is Shukran? Shukran is the Landmark Group’s award-winning loyalty programme in the Middle East, which allows you to earn Shukrans when you shop any of our brands. 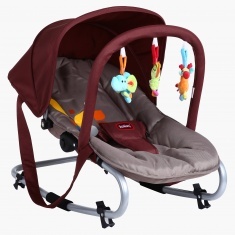 Let your baby have a fun and relaxing time on this lovely baby rocker. 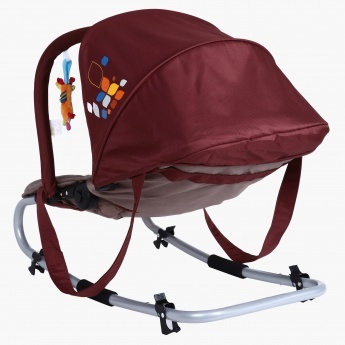 This baby rocker comes with hanging toys on the top that will keep your baby entertained when he sits on this adorable rocker.